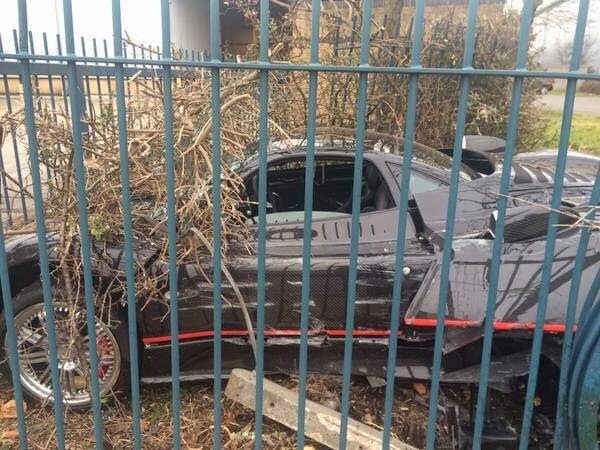 A very sad week for Pagani that sees two of their beautiful Zondas destroyed in accidents. 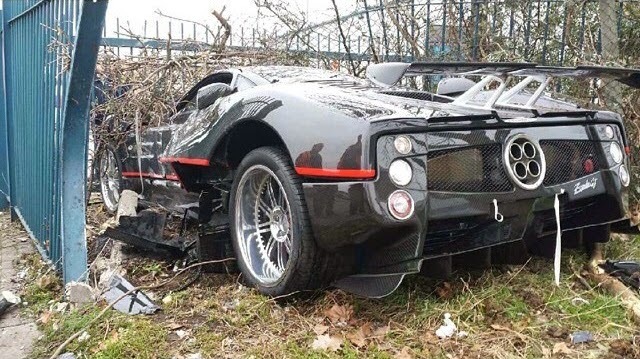 After the F crashed in Dubai last weekend, yesterday it happened to the well known Zonda GJ from Britain. The accident had place outside London when the driver lost control of the car. HR Owen is the UK dealer and their workshop for supercars is in the area. I suspect an employee may have crashed it showing off while testing it. It was reported lots of revving being heard beforehand. This car is not very lucky since this is the second time it is involved in an accident. Originally manufactured as a right-hand drive C12 S Coupé, chassis number '46' was sent back to the factory in late 2009 for accident repairs and upgrading to high-performance 'F' specification. Completed in 2010, this work included the incorporation of some Zonda Cinque features such as two front splitters, side skirts and mirrors while at the rear the car received Zonda Tricolore air ducts, wing and diffusers. Inside, the centre console was replaced, a Zonda F dashboard installed, and the entire interior re-trimmed in black leather with contrasting red stitching. The vendor's initials – 'GJ' – were engraved on the centre console and front bumper. Mechanical improvements included a switch to forged aluminum Zonda F wheels complete with titanium nuts and bolts, and an upgrade of all suspension groups with carbon-ceramic brakes (4-piston red calipers at the front and 6-piston at the rear). A Zonda F Club Sport stainless steel exhaust system was fitted complete with ceramic-coated manifolds, which also involved replacing bulkheads, brackets, gearbox/engine supports, etc. The result of the exhaust and air intake changes was an increase in maximum power of nearly 25bhp. 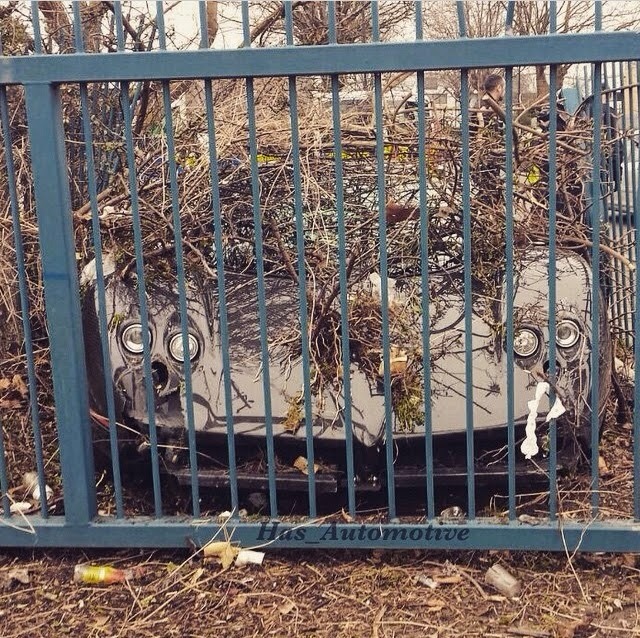 For the conversion and upgrading, Pagani charged a total of €326,820 (approximately £261,500) including taxes (invoices on file). The car's original purchase price was €424.280 (approximately £339,400). The car has been for sale for quite a long period, first at the British dealer Joe Macari, later at the dealer Amian Cars based in Cologne. In February 2014 the car received another upgrade, the fully visible matt carbon fiber body got a transparent finish. It was also auctioned by Bonham’s in 2012 where it failed to sell. It isn’t clear if the car had already traded hands before the accident. It will be nice to see the Pagani Zonda GJ being rebuilt, by logic this time as a 760.